A pool of water had formed at my feet by the time the sermon began during the intermission of a Sons of Brasil concert at First Baptist Church on Sunday, January, 14. 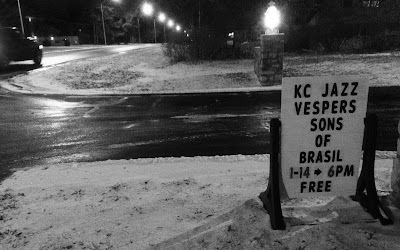 The clinging ice and snow that I tracked in to the free Jazz Vespers event melted during a radiant set that included arrangements of classic compositions by the likes of Johnny Alf, Antonio Carlos Jobim and Gilberto Gil. The sunny music of the pared-down quartet of trumpeter Stan Kessler, guitarist Danny Embrey, bassist Greg Whitfield and drummer Doug Auwarter neutralized the chill for about 75 hardy spectators on the frigid evening. 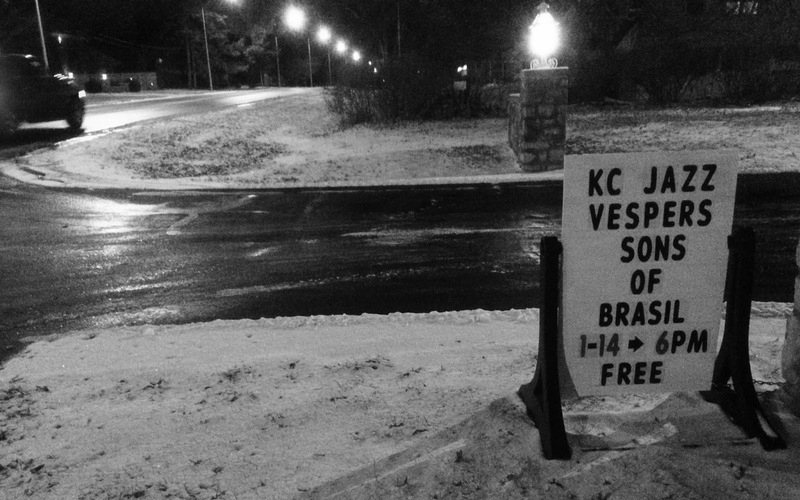 Having attended many performances by the Kansas City institution, I know that the spellbinding sound of Sons of Brasil is just as capable of transporting a sweltering audience at an outdoor concert in July to a temperate tropical beach.